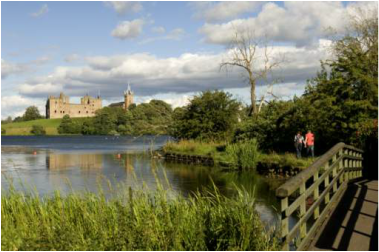 Linlithgow is an historic town with plenty for visitors to do and see. The town has its own website where you can gather more information. www.linlithgow.com The website has a What's On guide, recommended Heritage Trails, facilities, and a useful history page. If you would like more suggestions to keep you busy you could visit St Andrews which is approximately an hour and a half away, or Stirling which is much closer. Closer attractions in the area include Blackness Castle, where Hamlet was filmed, Canal Cruise, The House of Binns, Birkhill Clay Mine, Scottish Railway Preservation Society, Bo'ness Motor Museum, Kinneil Museum and Roman Fortlet, Kinneil House, Hopetoun House, South Queensferry & The Forth Bridges, Cruise on The Maid of The Forth, Almond Valley Heritage Centre, The Falkirk Wheel, Beecraigs Country Park. Find more suggestions on the Visit West Lothian website. The canal has a cycle path which is picturesque and fun for all ages. 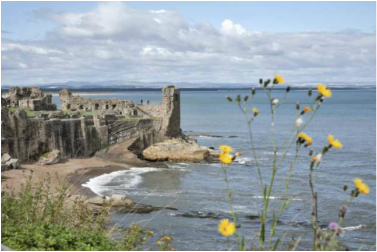 There are beautiful beaches, most notably at Aberdour, Elie and Gullane and Seacliff. 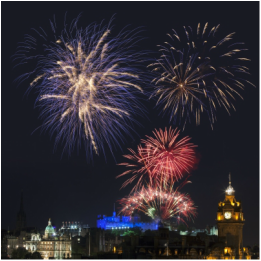 If you're prepared to put in the miles then Linlithgow is an ideally central base for exploring Scotland. Cycling, walking, fishing and golfing are all on the doorstep!